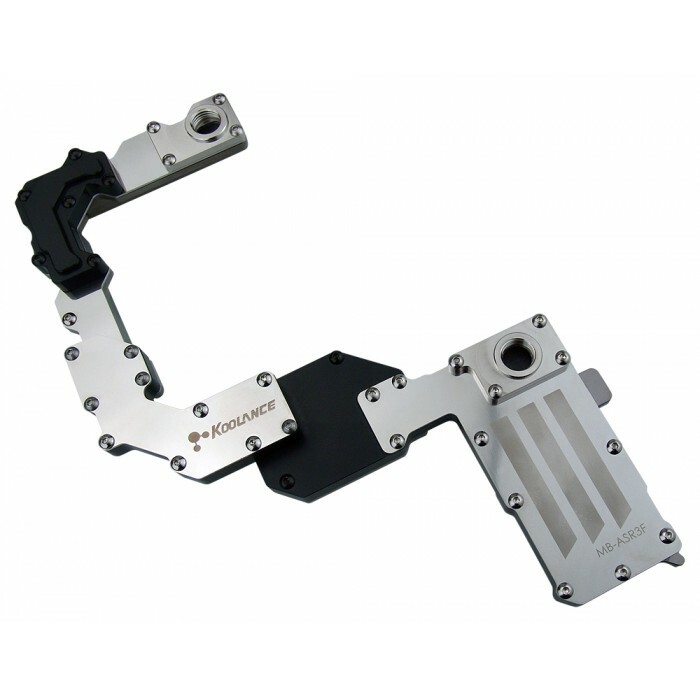 The MB-ASR3F water block is designed exclusively for the ASUS Rampage III Formula motherboard (not included). It liquid cools the northbridge chipset and other nearby components. 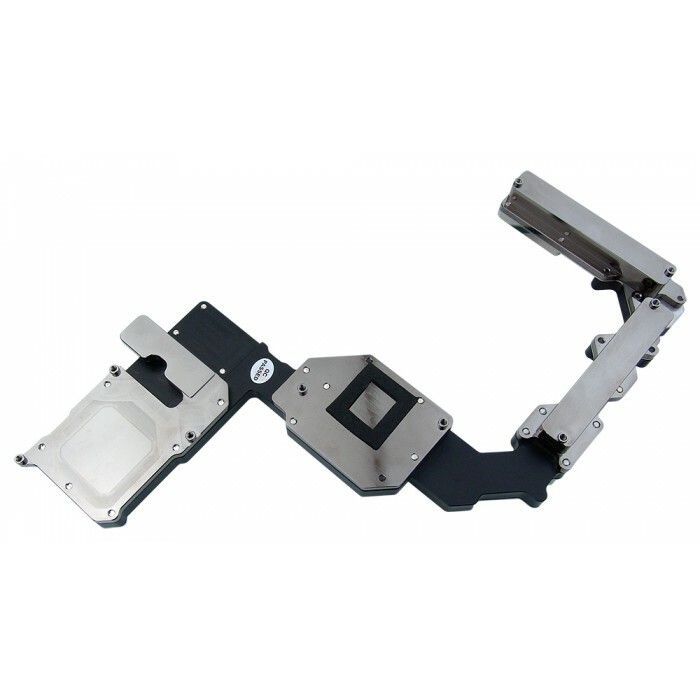 Materials include copper with anti-corrosive nickel plating, acetal body, and steel top cover. G 1/4 BSPP fitting threading.